1st June 1907, Newcombe Road, Coventry, West Midlands, England. 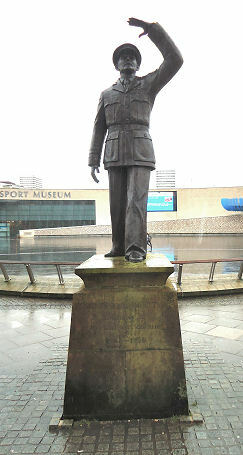 Frank Whittle was the eldest son of a factory Foreman Moses Whittle and Sara Alice Garlick. Earlsdon School, Coventry. 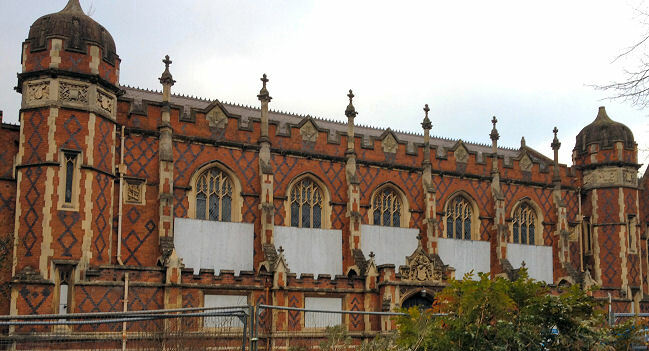 Milverton School, Leamington Spa. Leamington College for Boys, Leamington Spa. Royal Air Force College, Cranwell, Lincolnshire. Peterhouse College, Cambridge University. 1916: The Whittle family move to Leamington Spa in Warwickshire where his father, an engineer purchased the Leamington Valve and Piston Ring Company. 1918: He wins a scholarship to go to a school which becomes Leamington College. 1923: Frank Whittle passed the RAF entrance examination but failed the medical due to poor physique and height. Undeterred he underwent physical exercises to build himself up. He was told he couldn’t reapply so applied again under an assumed name at RAF Cranwell Apprentice School and this time passed. 1926: He is selected for officer and pilot training at the Royal Air Force College, Cranwell, Lincolnshire. His commanding officer was impressed by his mathematical and model making skills. 1927: Frank Whittle takes his first solo flight. He progresses on to flying the Bristol Fighter and impresses with his aerobatic skills. 1928: His final thesis for the R.A.F. College on high speed and high altitude flight contains the germ of an idea for jet propulsion. He came second in his class and won the Andy Fellowes Memorial Prize for Aeronautical Sciences for his thesis, although he was banned from flying in the end of term contest due to his “showboating” in aircraft on earlier occasions. Becomes a commissioned Pilot Officer in August and joined No. 111 Squadron at RAF Hornchurch, flying Siskin 3 aircraft. 1929: He is posted to the Central Flying School at RAF Wittering as an instructor. Develops his idea for the jet engine using a gas turbine as the method of propulsion. 1930: He was selected as an entrant in the competition to find a team to perform the “crazy flying” routine at the Air Display at RAF Hendon. He crashed twice during rehearsals destroying two aircraft but managed to walk away on both times. Applies to Patent the jet engine as the RAF had shown no interest in the project and therefore it did not need to be kept secret. He is promoted to Flying Officer. 1931-32: Frank Whittle becomes a test pilot on flying boats and floatplanes at the Marine Aircraft Experimental Establishment in Felixstowe. 1932: He takes the Officers’ Engineering Course at RAF Henlow, Bedfordshire where he completes ahead of schedule with near perfect marks. His patent is accepted but the Air Ministry ignores the idea. 1933: Unknown to Whittle Hans von Ohain, a 22 year old student at the University of Goettingen, Germany was also beginning his research on gas turbine propulsion. 1934: He is promoted to Flight Lieutenant, Whittle is sent to Peterhouse College, Cambridge University as a mature student. Encouraged to develop his idea by the academics. 1935: He meets two former R.A.F. pilots at Cambridge, Rolf Dudley-Williams and James Collingwood Tinling who are keen to develop the jet engine. They propose a partnership to act on Whittle’s behalf to gather finance for the jet engine project. The RAF refuse to pay the extension on the Patent and it lapses. In Germany, Hans von Ohain had started work on a prototype and was working on a flying design for the Heinkel He S3. 1936: Whittle graduates from Cambridge with a First in the Mechanical Sciences. In January A “Four Party Agreement” is signed between O.T. Falk, the Air Ministry, Whittle and Williams and Tinling which creates “Power Jets Ltd.” Builds equipment to develop jet engine in a factory in Rugby. Whittle was given the title “Honorary Chief Engineer and Technical Consultant”. as he was still a serving RAF Officer and he was given six hours a week to work on the project. 1937: The Company he has formed with colleagues from Cambridge, Power Jets tests its first experimental bench engine which is called the WU or Whittle Unit. The Air Ministry were now convinced enough to put some finance into the project. Whittle is promoted to Squadron Leader. 1938: Testing is moved to a derelict foundry in Lutterworth for reasons of safety as the WU had a tendency to run out of control. A successful running was held here. Ministry money finally arrived which meant the company’s project was now subject to the Official Secrets Act. Whittle worked such long hours that the stress caused weight loss and he kept himself going taking Benezedrine. 1939: A visit to the cash strapped Power Jets was made by Air Ministry and the Director of Scientific Research, David Randall Pye was totally convinced of the value of the project as Whittle had managed to keep WU going for twenty minutes with no problems. The Ministry agreed to buy the W.U. and then loan it back. In August Ohain’s Heinkel He 178 flies for the first time but is unstable. 1940: The Air Ministry place an order with Gloster Aircraft to construct a new aircraft to take the new W1 engine. They also place a contract for the larger W2 engine. Whittle suffers a nervous breakdown in December. 1941: The first test flight of a Gloster E28/39 held on 15th May. By now the aircraft was reaching speeds of over 370 m.p.h. outperforming piston engined aircraft. The Rover works at the insistence of the Air Ministry begin building a series of engines in competition with Whittle which caused some stress between the two. 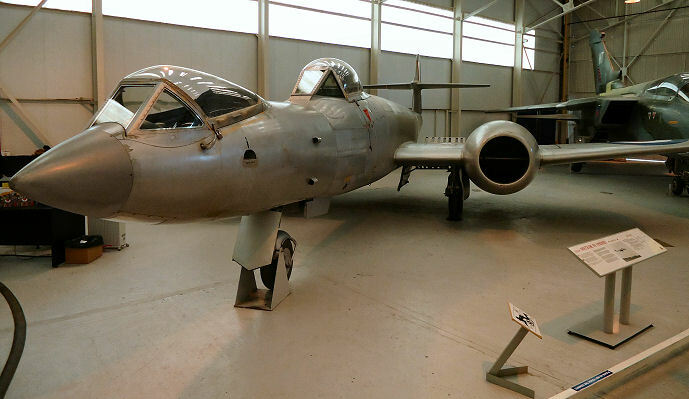 The W2/700 engine was the first British production jet engine and powered early models of the Gloster Meteor aircraft. 1942: A prototype of Whittle’s engine is shipped to the United States to the General Electric Company. Whittle is promoted to Wing Commander. In March the second E.28/39 reached speeds of 430 m.p.h and reached 15,000 feet. 1943: Frank Whittle teams up with Rolls Royce to develop engines in competition with Rover. Building of the United States first jet plane. Whittle is promoted to Group Captain. Power Jets was officially nationalised by the Government and became Power Jets (Research and Development) Ltd.
1944: He is awarded the CBE in the New Year Honours. 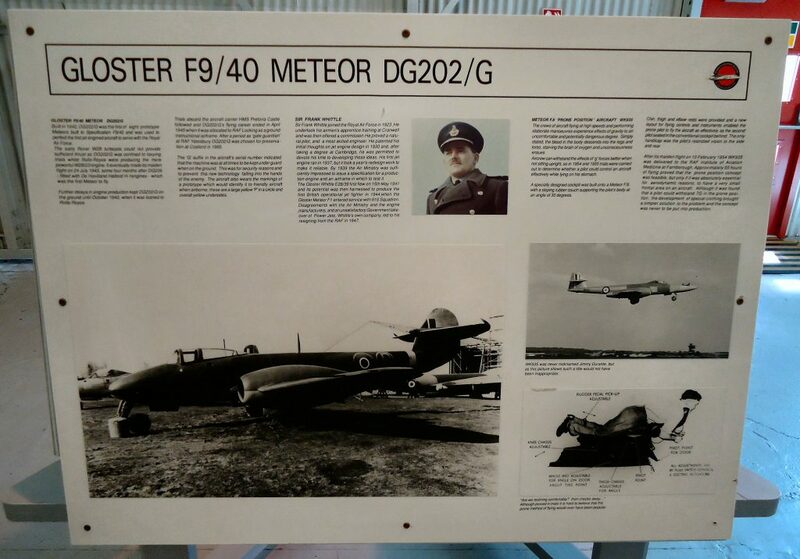 First official news of jet engined aircraft as a Gloster Meteor jet flies in combat. This was to prove the only allied jet to take part in World War Two. The Air Ministry sent Whittle an award of £10,000 for his shares in the company. Becomes an Acting Air Commodore. 1946: Whittle is taken off the development of jet engines and resigns in protest. Awarded the Daniel Guggenheim medal for the development of the jet engine. Whittle accepted a post as Technical Advisor on Engine Design and Production to Controller of Supplies (Air) and was made Commander of the U.S. Legion of Merit. 1947: He is awarded the Order of the Bath. 1948: Whittle is promoted to Air Commodore but is invalided out of the R.A.F. due to problems of stress. He received an ex-gratia award of £100,000 from the Royal Commission on Awards to Inventors in recognition of his work on the jet engine and was Knighted as a Knight of the Order of the British Empire. He becomes honorary technical adviser to the commercial airline the British Overseas Airways Corporation (BOAC). 1952: Frank Whittle leaves BOAC after extensive travels with them reviewing engines. 1953: He joins the Shell oil company as a technical adviser on drilling where he developed a new type of self-powered drill. He is awarded the Royal Society of Arts’ Albert Medal. 1954: Whittle delivered the Royal Institution Christmas Lectures on The Story of Petroleum. 1957: Whittle left Shell to work for Bristol Aero Engines. 1959: Whittle works as an independent consultant and lecturer. 1961: Founding of “Bristol Siddeley Whittle Tools” to manufacture tools. 1966: Rolls-Royce purchased Bristol Siddeley but the financial pressures caused by the overrun of the RB211 aircraft project led to the cancelling of Whittle’s “turbo-drill”. (The design eventually re-appeared in the 1990s), He meets Hans von Ohain for the first time. 1969: Whittle received the Tony Jannus Award for distinguished contributions to commercial aviation. 1976: He emigrates to the United States of America after marrying for the second time. 1977: Whittle becomes NAVAIR Research Professor at the United States Naval Academy at Annapolis in Maryland. 1978: He begins to work part time. Meets Ohain for the second time at Wright-Patterson Air Force Base while Ohain was working there as the Aero Propulsion Laboratory’s Chief Scientist. He became convinced that Ohain had worked independently to his original Patent. The two became friends and went on lecture tours of the U.S.A together. 1986: Whittle receives the Order of Merit from Queen Elizabeth the Second. He was made a Fellow of the Royal Society and of the Royal Aeronautical Society. 1991: He was awarded the Charles Stark Draper Prize jointly with Hans von Ohain. 1992: Frank Whittle awarded the SAE Aerospace Engineering Leadership Award again jointly with Hans von Ohain. 1952: “Jet – The Story of a Pioneer”. (Autobiography). 1981: “Gas Turbine Aero-thermodynamics: with Special Reference to Aircraft Propulsion”. 1. 24 May 1930 to Dorothy Mary Lee: Divorced 1976. 2. 1976: To American Hazel S Hall (Nicknamed “Tommie”). 8th August 1996, Columbia, Maryland, United States of America of cancer. Cremated in the USA and his ashes interred at Protestant Chapel, RAF Cranwell. Cosford Aircraft Museum, R.A.F. Cosford. Statue outside Coventry Transport Museum. Museum of Flight, East Lothian.